← What content is acceptable to the search engines? Are you related to the world of music? For those who have an intention to create their own websites concerned with a music theme we would like to present some of our music templates. These templates are excellent for radio stations, recording studios, sound studios, music bands, individual artists, singers. They are useful and functional. Social media plug-ins like Twitter, Facebook are integrated into the templates. They include live photo and video galleries, where you can place a great variety of thematic images. There are Joomla, HTML, Easy Flash, PhotoVideo templates among Music themes. 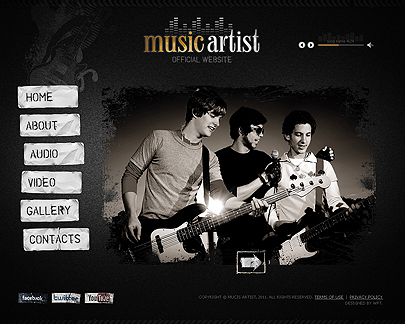 Have a look at our Music website templates. PhotoVideoAdmin is designed for singers who want to contact with their audience and to represent their video and audio files. 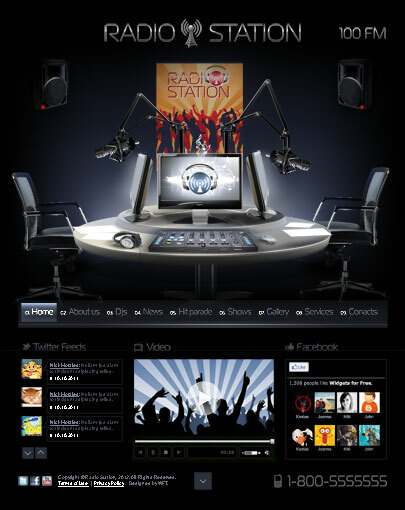 Radio Station Website template — a fresh idea for your online project. 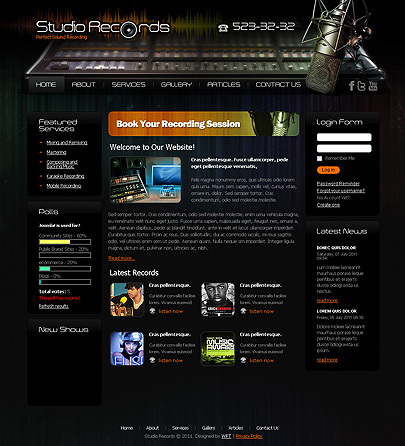 Current template is specially designed for professional Recording Studios. Design of the template can speak by itself by its layout, images and content. 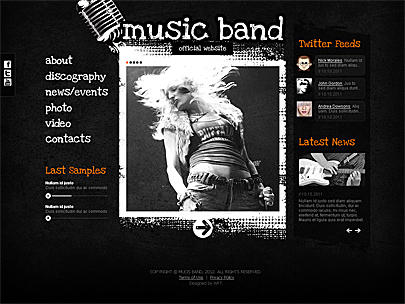 Music Band Website Template is based on Joomla and can be edited withous efforts. All elements of the site are well organized, so that to gather all important information on the start page. It is based on HTML which makes the template more convenient and interactive. When we are cheerful we listen to moving song and when we are sick at heart we prefer to listen to lyrical music. There are a lot of places where people connected with music: night clubs, cafes, fan clubs, musical bands, singers etc. All of them can use our Music Artist Easy Flash Template. Template design puts your visitors on workplace of sound producer. 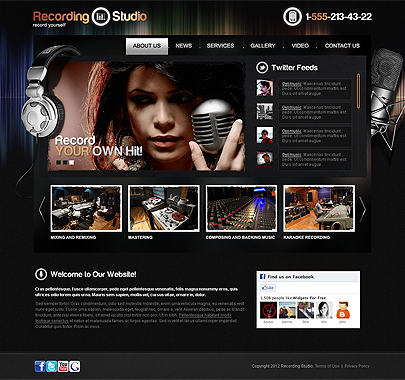 It shows all features and objects of general sound recording studio. 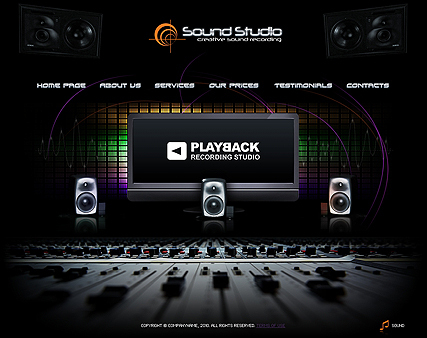 Presence of interesting flash animation makes Sound studio website template more attractive. This entry was posted in Templates' highlights and tagged music templates. Bookmark the permalink.